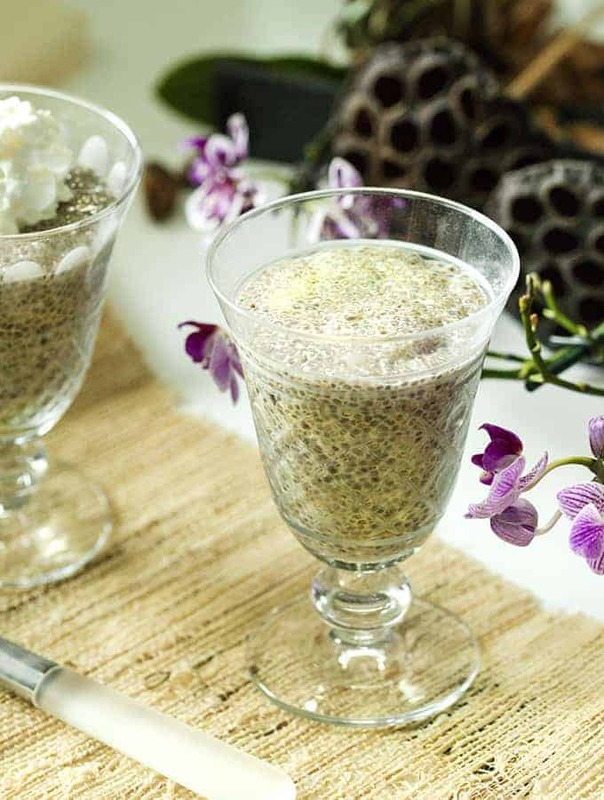 If you’re looking to try Chia Pudding, this is an excellent recipe to start with. It’s simple, and the flavors are so classic and delicious. If you’ve ever wanted to try a Horchata Pudding, this recipe will do the trick. All the cinnamon and almond flavors come together and make a rich and flavorful pudding you’re going to love. 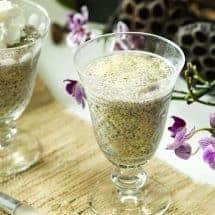 Chia Pudding has such a lovely texture and is much more fun and interesting to eat than regular, smooth puddings. Chia seeds are also an excellent food to add into your diet as well. They’re high in nutrition and fiber making them great to eat when you’re on a low carb diet like I am. Even if you’re not doing low-carb, you’re going to love this! The reason I call this an Horchata Pudding is because of the creamy cinnamon flavor that is very similar to Horchata. My Horchata recipe is one that we frequent at our house. Have you tried it? It’s so easy. CLICK HERE to get that Instant Pot Horchata recipe. I also have a Coconut Pandan Chia Seed Pudding that people just love, even though that does require you to get some delicious Pandan Extract–SO utterly worth it! But if you’ve never tried Chia Pudding, this Cinnamon Almond Chia pudding recipe may be the best one for you to start with. If you want to try the delicious and exotic flavors of my Coconut Pandan Chia Seed Pudding that people rave about, you can get that easy recipe HERE. Once you acquire the Pandan, you can also use it for a coconut pandan custard that’s a great low carb dessert as well. But I digress! This Cinnamon Almond Horchata pudding requires only that you soak the chia in hot water for 10-15 minutes before you pour in the rest of the liquid, and you should have a lovely pudding in no time at all if you do that. 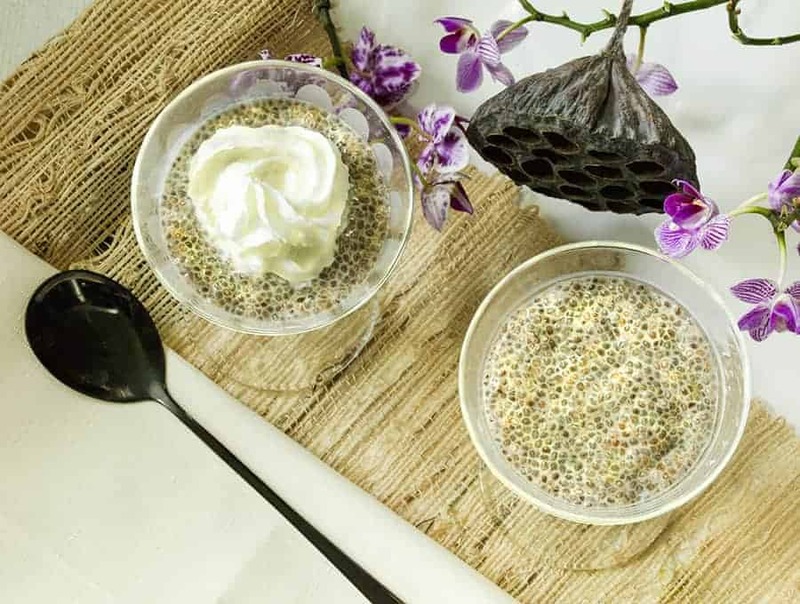 If you're looking to try Chia Pudding, this is an excellent recipe to start with. It's simple, and the flavors are so classic and delicious. If you've ever wanted to try a Horchata Pudding, this recipe will do the trick. All the cinnamon and almond flavors come together and make a rich and flavorful pudding you're going to love. Mix the hot water in with the chia seeds and let is rest for 10-15 minutes. Using hot water causes the chia seeds to absorb the water and swell much faster than tap water--which means your pudding will be done sooner and you can eat sooner! I mean, that's really the only thing you need to know. Other than that, mix everything together, and let it chill in the refrigerator while you chill with some snacks or dinner. The chia will make it gel and set into a pudding, and coconut milk will make it creamy, and the cinnamon and almond milk will make it delicious. I made this today! It is very creamy and delicious! However mine didn’t gel like a pudding. Are you supposed to drain the leftover water off the chia seeds before mixing into the milk mixture? could that be where mine went wrong? It didn’t gel for me either. I used boiling water. It just seemed like adding a cup of almond milk, 1/2 cup HWC AND a 14-oz can of coconut milk was a lot of liquid to add. It tastes amazing, and it DID thicken, but not like the Coconut Pandan Chia Seed pudding did. I’m not sure but check carb counts on each ingredient that you entered. I have to scrutinize each ingredient carefully if I use MFP. Love the flavor. Since I am a tapioca fan, this chia pudding is super satisfying for dessert. It is also going to be breakfast tomorrow morning. I was just seeing if I missed something! I don’t see coconut milk in the list of ingredients. It is at the very bottom of the list. Canned coconut milk.